Update for 2015: Still up as an exhibit; if you haven’t seen it, I recommend it heartily. And now you can have lunch afterwards at Petit Amelie right across the street, which is the most beautiful cafe in the Quarter. Over a sunny lunch hour, I dragged my 1970s Crescent folding bike out from behind the lawnmower (been raining a lot lately is my only excuse) and headed to the Quarter. After a delightful lunch at Stanley’s-well except for the wait staff’s obsession with their new iPhones, although I think a very good idea to have them for taking orders. The real issue today was the less than stellar bar staff but I’m still loyal to this chef and his wife, so stayed for a cherry-limeade Italian soda and a bowl of their gumbo with potato salad dumped in and was glad I did. 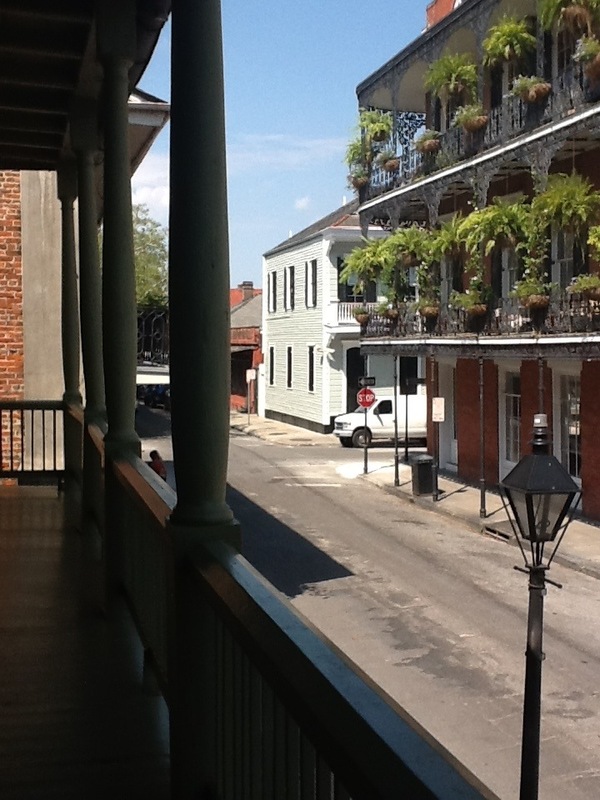 Afterwards, I unlocked the Crescent and headed to Dumaine, between Chartres and Royal. 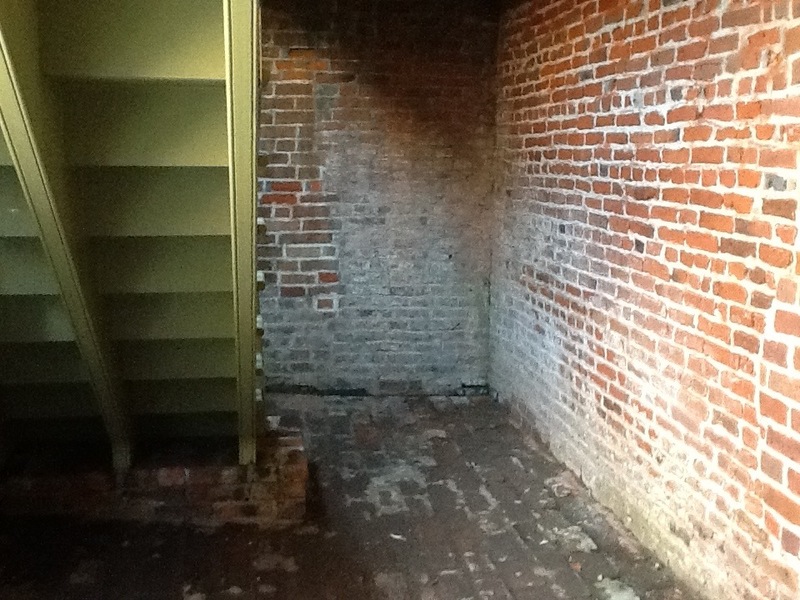 Madame John’s Legacy is said by some to be either the oldest or the second oldest building in the Quarter. Ursuline Convent is usually considered to be the oldest and since MJL burned in the first fire that swept through the Quarter and had to be rebuilt, I’m not sure why some fight for the oldest designation. Okay, maybe its just wild talking mule carriage drivers that say that. 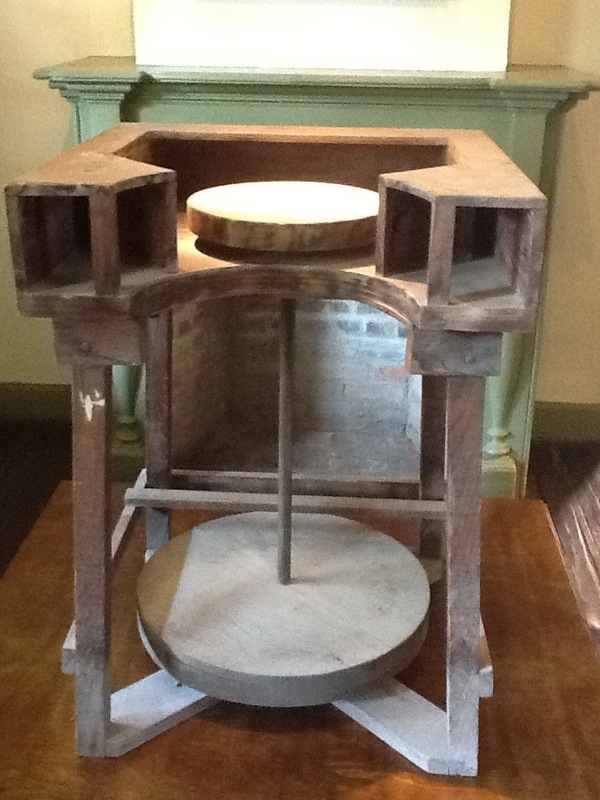 I am also sure that the many expert historians could make a case for either if needed. In any case, it has to be the plainest building in the Quarter. I like that about it, but it must be hard for people to believe its a museum with its undecorated green front (historically accurate colors by the way) and its entrance at street level under the stairs. As locals know, the gingerbread and vibrant colors came with that nutty Victorian age. 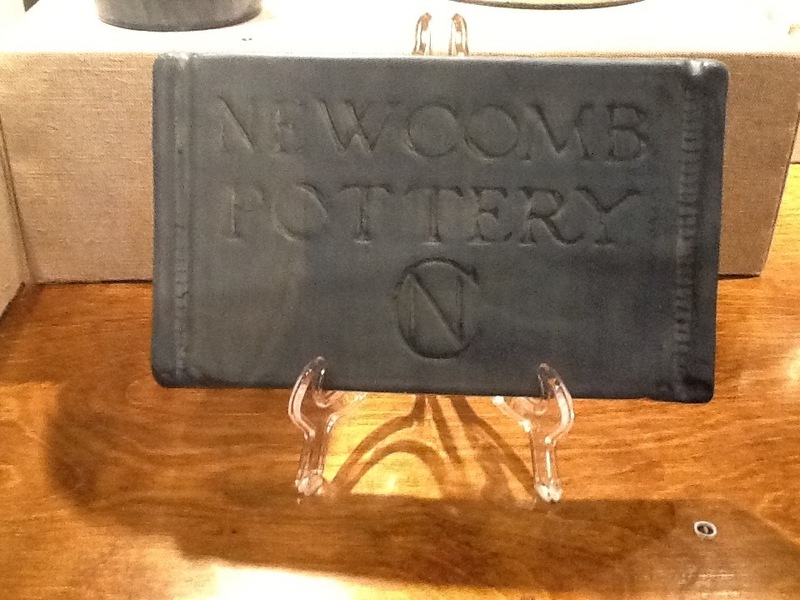 The name itself comes from a George Washington Cable story, a writer interestingly, who worked in part of the same time period as the Newcomb Pottery folks and was known for his sympathetic and sensitive portrayal of the complex culture found in New Orleans. Once you get upstairs, a very courteous security officer at the desk gives a short overview of the fact that this exhibit is free (thanks to the Friends of the Cabildo, you’re very welcome) and that pictures are allowed. 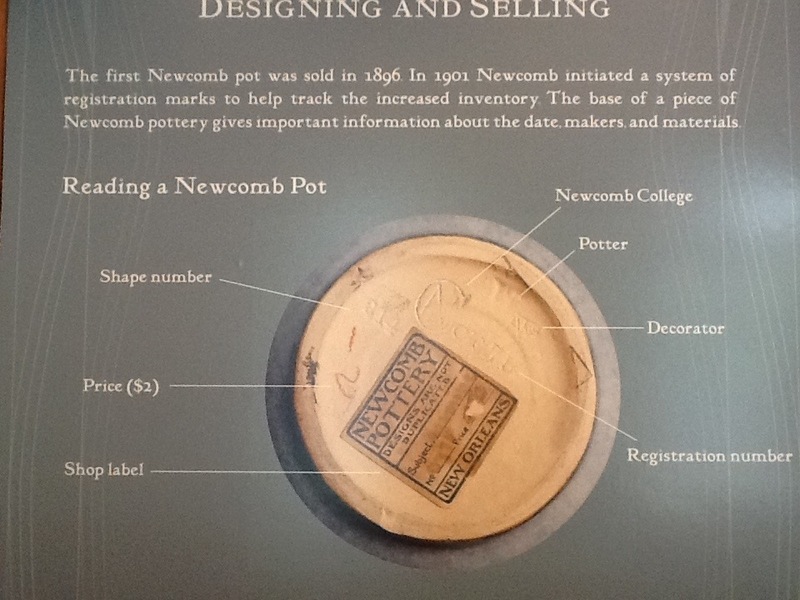 In any case Newcomb operated this pottery business for about 50 years really, from the late 1800s through the early 1940s. 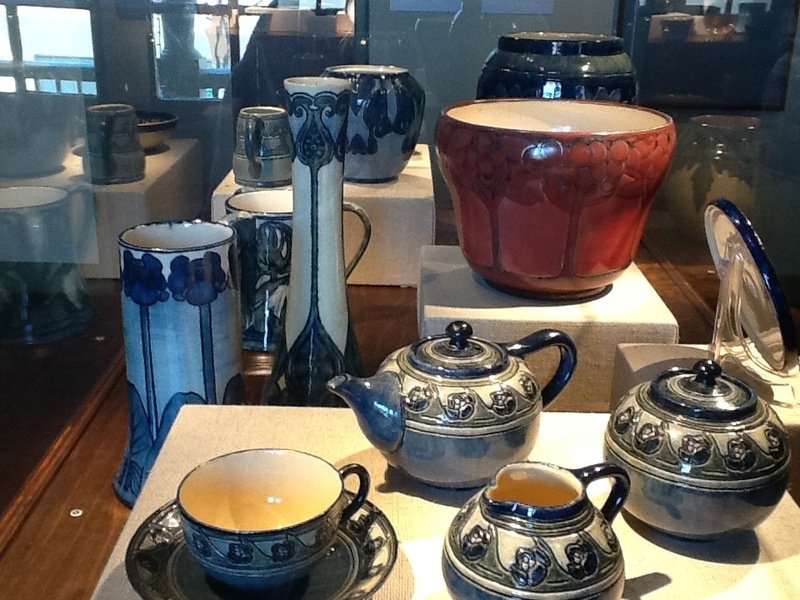 Its pottery became quite the collectors item for arts and crafts pottery enthusiasts and it is some of the loveliest work you’ll see. 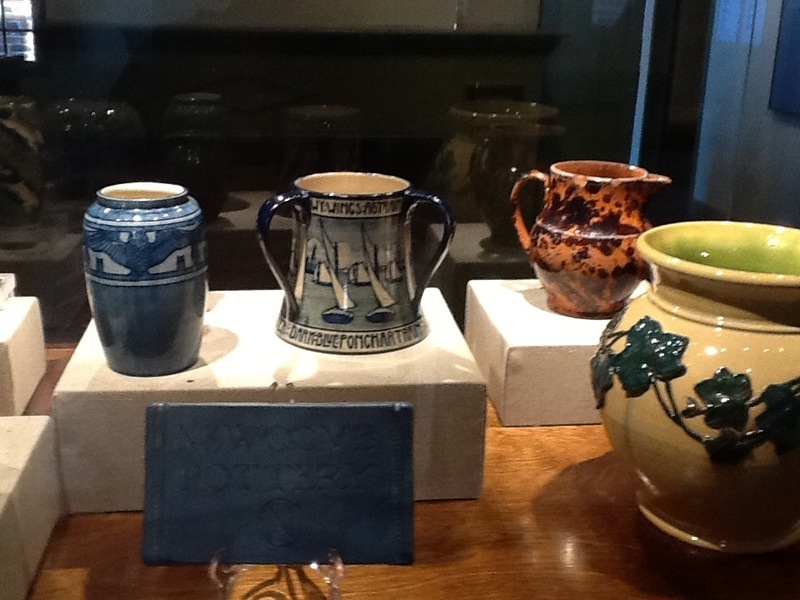 The detail is striking, especially since they often used local flora and fauna for their motifs. 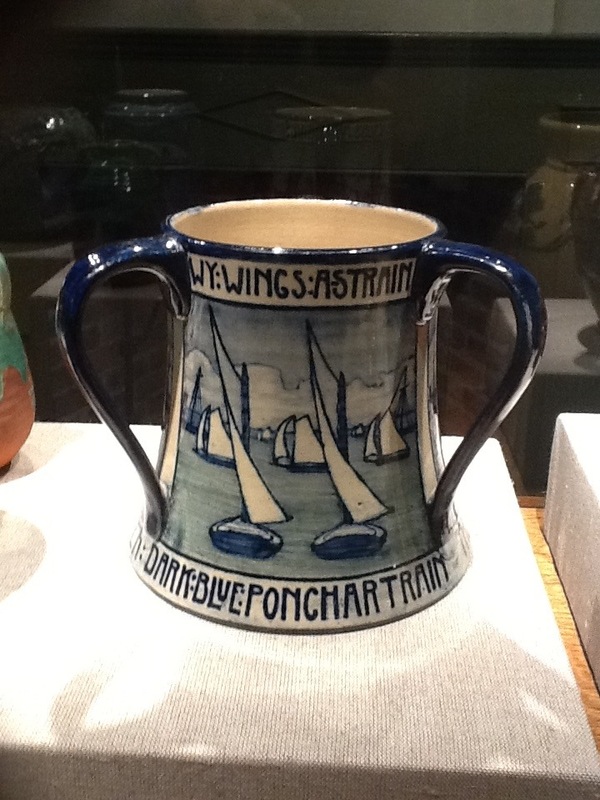 The arts and crafts movement itself was an artistic response to the industrialization of America and also a way to allow women to work on their degree. 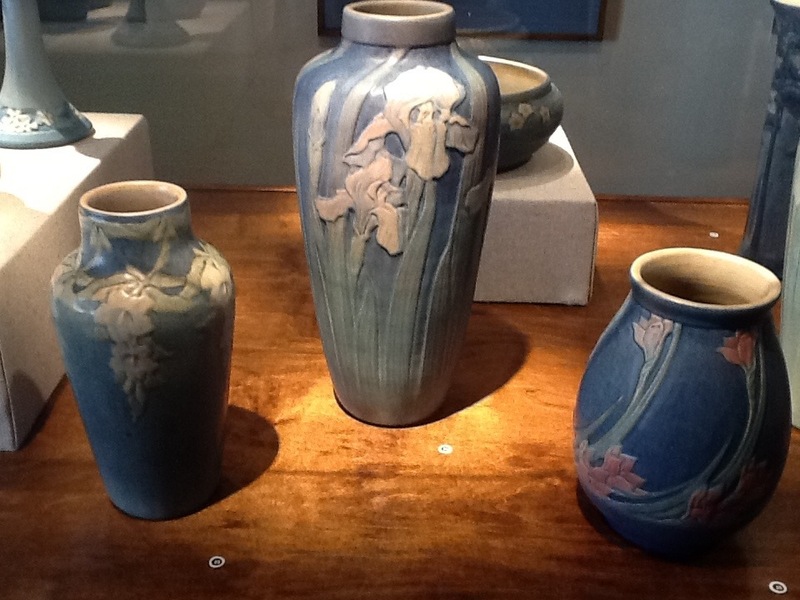 Having grown up also in Ohio, I was already familiar with Rookwood Pottery, which was the most well known of the arts and crafts pottery-a friend in Cincinnati has Rookwood fireplace detail in her apartment, which is not that unusual to find there…. 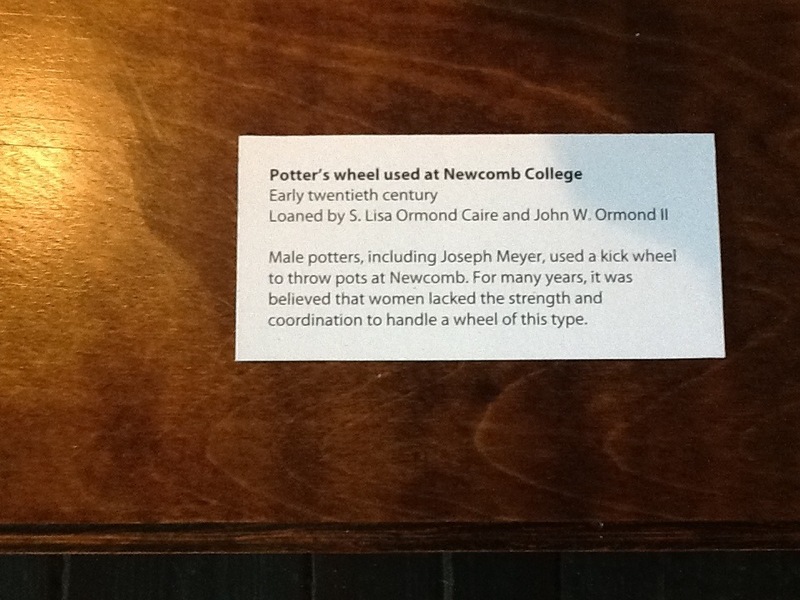 The Newcomb school allowed women to design and paint designs, but the actual pottery wheel was handled by men! ugh. I’m gonna leave that alone…. 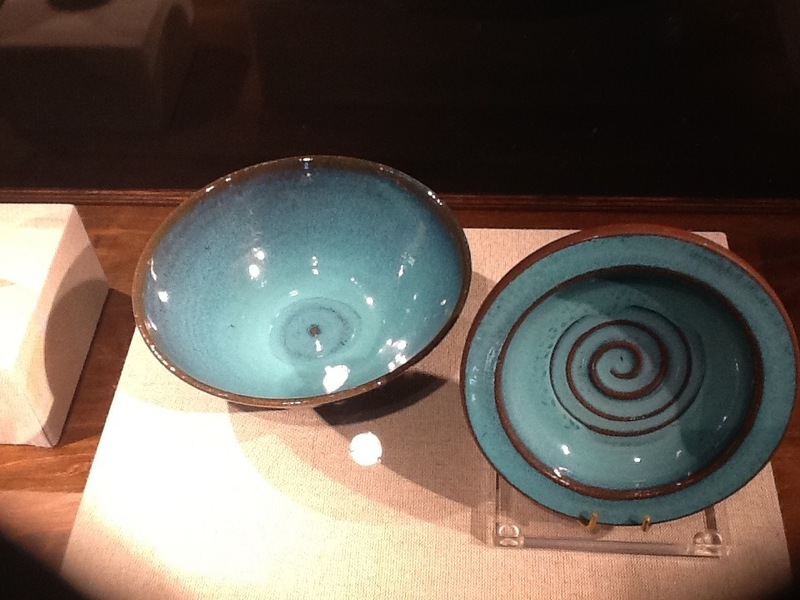 Interestingly, the most well known prolific potter at Newcomb, Joseph Meyer, was the son of a French Market vendor who sold utilitarian wares. 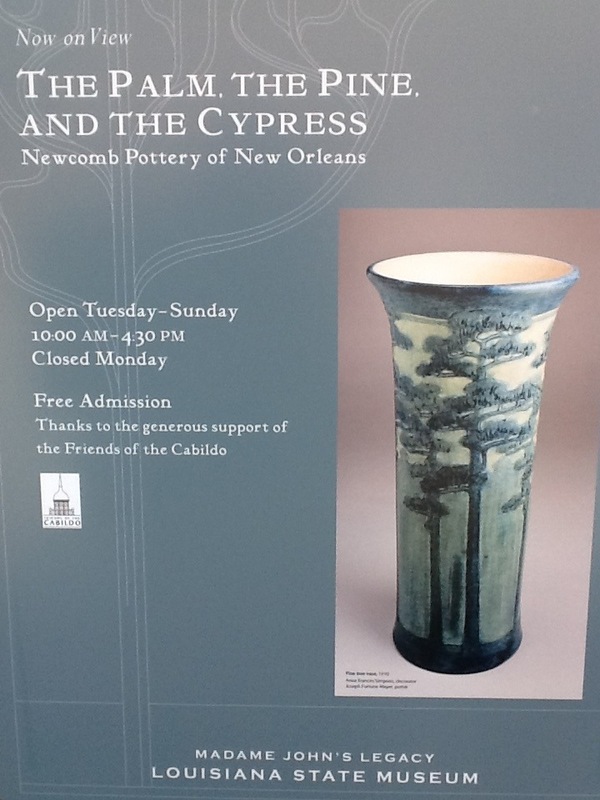 This modest exhibit is at the perfect venue and is well worth the trip to Dumaine. 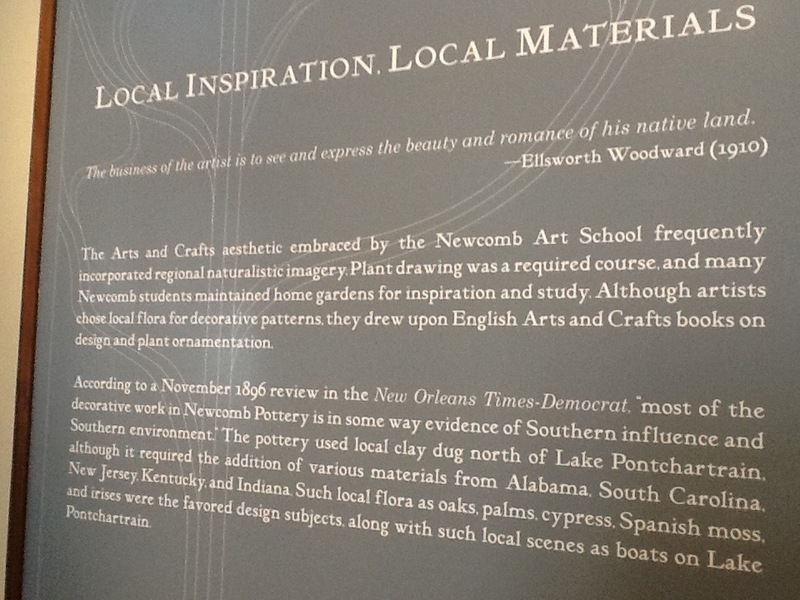 This entry was posted in artists, French Quarter, History, museums, old New Orleans and tagged New Orleans, Petit Amelie. I’ll be in town in a few weeks and plan to check this out!